Nature and mankind have each left their mark for a very long time, and these marks include deposits from the glacier that covered what is now Nomansland, the prehistoric earthworks at Beech Bottom and the Slad, the field pattern and ancient woodlands. And traces of previous inhabitants are occasionally unearthed – witness some 10,000 year old tools and the more recent Sandridge Hoard of Roman gold coins. Though at one time extending further both north and south Sandridge now comprises three fairly distinct parts or Wards; Sandridge village and its surroundings, Jersey Farm, and Marshalswick North. Historically they were all part and parcel of the monastic lands belonging to St. Alban’s Abbey, which were gifted by the Saxon King Egfrid in 796 AD. “The Abbot himself holds Sandruage”. So says the 1086 Domesday Book, and this applied throughout the middle ages and up to the dissolution of the monasteries in 1541 by King Henry viii when it was made over to Ralph Rowlatt, a London goldsmith and banker and an ancestor of the present Earl Spencer. The bit of Sandridge known as Marshalswick takes its name from John and William Marschal, who held it for the Abbey between 1271 and 1377. 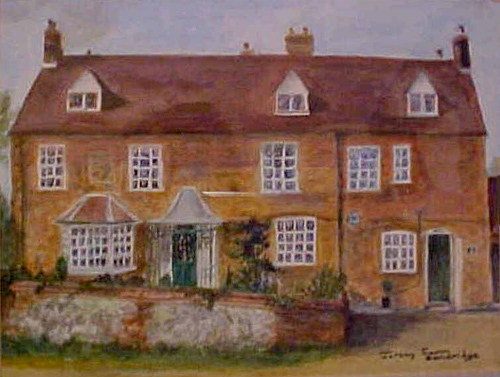 At the dissolution it was first made over by the Crown to the Roberts family then to the Thrale’s who owned it until 1728 and whose story is so bound up with that of the parish. After that ownership passed through several hands until 1770 when Samuel Martyn bought the estate, extending it with land acquired from the Spencer family. The estate passed to Charles Bouchier and then in 1803 to George Martyn, Sherriff of Hertfordshire, remaining in his family until 1921. Thereafter it was split up and the “very beautiful rural Marshalswick” became the area we know today with its pockets of green space. The one part of the Marshalswick estate that remained un-developed was Evans’ farm, which was bought by Dr. Corner who had taken up farming in 1900 as a result of his study of tuberculosis, a disease thought to be carried in milk. He moved to Evans’ farm in 1931, renaming it Jersey farm after his herd of Jersey cows. He died in 1945, aged 81, but his daughter Hilda continued running the farm and dairy business until the Royal London Mutual Insurance Company bought the land for housing development. 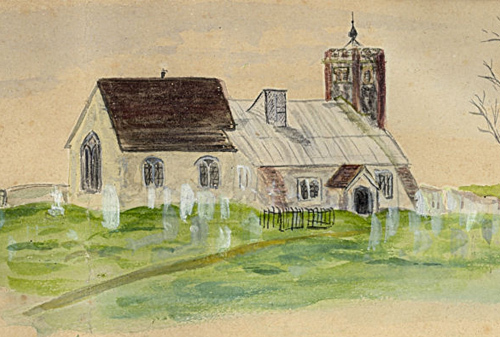 Despite fierce local opposition planning permission was granted to build on 118 of the 309 acres of farmland and in 1977 the building work started. 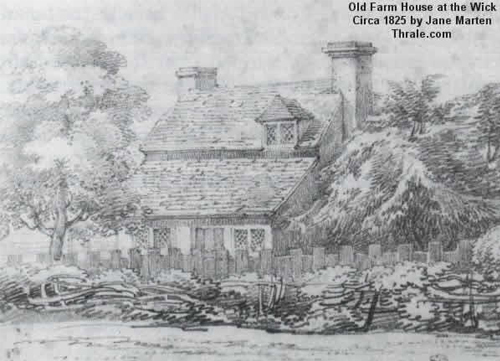 The Queen Anne farmhouse, now the site of St. Brelade’s Place, was to have been the centre piece of the estate but it was devastated by fire in 1979. One section of the farm, the area alongside House Lane, having been excavated as a gravel quarry became a municipal tip and unfit for building and that area is now the Jersey Farm adventure playground. Headed by MOSPA, further local opposition to developing the remaining area as a golf course or schools’ sports centre resulted in what is now Jersey Farm Woodland Park, a 55 acre amenity area of woods and wildflower meadows. This says nothing about the parish church, St. Leonard’s, which was consecrated before 1119AD. Nor of the Plague, or the second battle of St. Alban’s in 1461 which was mainly fought through Sandridge. And no mention has been made of Nomansland and the infamous highwaywoman, Lady Katherine Ferrers; nor of John Churchill, whose first title was Baron Sandridge but is better remembered as the Duke of Marlborough. Or of the two much more recent World Wars. Those interested in learning more about the history of Sandridge should read Historic Sandridge Revisited by Janet R Rose.